We were very excited to see the release of Kano Computer Kit Complete earlier this year and I've had the pleasure of trying it out at home with my boys aged 7 and 9. The Kano Computer Kit Complete is a computer kit anyone can build and code with a Raspberry Pi 3 inside. 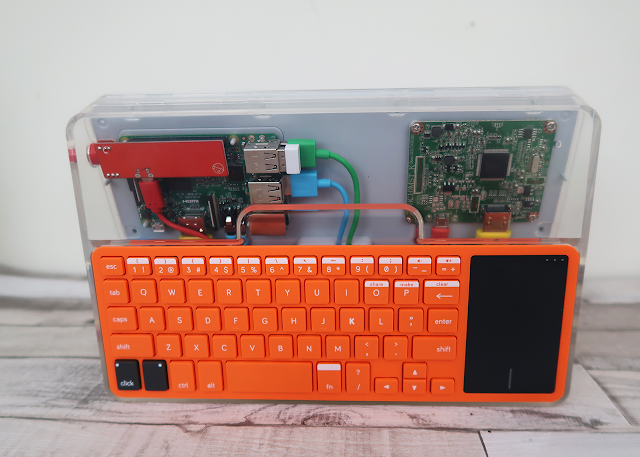 The computer runs on a Kano OS. 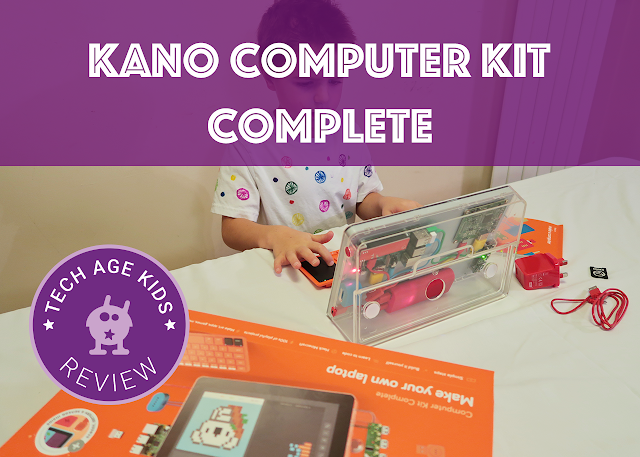 Disclaimer: Kano sent us a Computer Kit Complete to review for this post, but our views are always our own. The kit includes all the components you need to make a fully operational computer, including some stickers and the essential 'How-To' booklet that walks you through building your computer. All the components are colour-coded and beautifully made. We set aside one afternoon to build our computer. Admittedly my kids have built a similar Kano computer at a Mini Maker Faire we attended last year, but this time we were on our own without any hands-on technical support! First, we got all the components out and spent some time looking at them and talking about what they may be and do in the computer. This didn't last long, as my 7 year old was super keen to get going with the building. We used the 'How to make a computer' guide and systematically worked our way through it. Both the boys wanted to help, so we divided to tasks into sections, so each got an opportunity to build. (It did mean I didn't get to build anything and my fingers were itching to make it too!) I helped along the way to check connections were secure and cables were neat. Within 20min the computer was complete and the boys were so chuffed with the result. They wanted to get started immediately. The case for the Kano Computer is clear, which means you can see all the components and check LEDs are working. We held the power button in for 3 seconds and the computer came to life! I was really impressed that we managed to build a computer and it worked! You need to switch on the keyboard power and connect it so that you can do the setup. Your first screen is a terminal screen and the system walks you through step by step to setup your Kano. At first I was a bit nervous but we followed the instructions carefully. There's a bit of typing involved, but nothing that my 7-year-old couldn't cope with (admittedly we were going at snail's pace now)! You need to use the trackpad and keyboard to navigate the screen. My son, tried several times to touch the screen (it's not touchscreen) as he's used to it with his laptop and using tablets. It's not a bad thing for kids to use non-touchscreen devices, but they may need a bit of time to get used to it. Interestingly my 7-year-old is also left-handed, so he found the keyboard and trackpad, which is clearly designed for a right-handed person, a bit trickier to use. 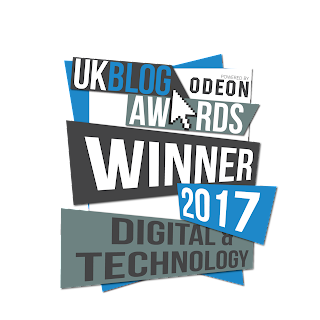 Having said that, I still love the keyboard and trackpad, as they are kid-sized and the boys find it much easier to type on it. Once the setup is complete (including adding WiFi connection) you can access the dashboard and enter the Kano ecosystem. The dashboard provides a safe and easy access place for children to use the Kano computer independently. 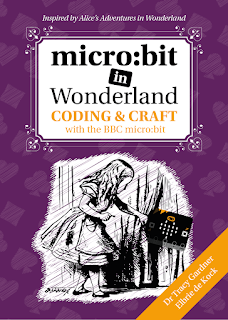 There are lots of content to explore including tutorials, making your own games, creating art and music, coding in Scratch (based on Scratch 1.4 (Linux) and more. Kids familiar with Scratch online will find Scratch on the Kano computer slightly different, but they are still able to share their work with their online account and also save their project locally on the Raspberry Pi. My son was immediately drawn to the 'Hack Minecraft' app and worked through some of the tutorials. He was so excited that he would use code to build and blow things up in Minecraft. It's important to note that Minecraft on Kano is a custom version of the popular game to encourage children to use code to make things happen in the game. There is a playground mode, where they can code their own things using the Kano Minecraft code blocks. Other cool apps we've tried so far (there's a lot of content to explore) include 'Make Snake', 'Make Art', 'Pixel Kit'and 'Tux Typing'. The boys have been spending a lot of the time exploring the Story Mode too. There's also a typing adventure which you can play in the terminal. You can also set up another user if more than one child will be using the computer. It is a good idea to track their progress separately. When you switch on the computer again after creating another user, you'll get an opportunity to select the user. The factory password is 'kano'. 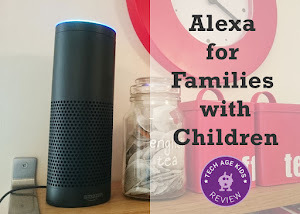 Although the Kano computer is created for kids, it provides full access to the internet and so we highly recommend you spend some time chatting with your child how to use the computer safely. For example, one of the apps is Youtube, and when you open it up, it takes you to the Kano Youtube channel, but you can also navigate away from the channel and explore the rest of Youtube. There is parental control available in the settings under Advanced, where you can restrict access to the internet and Youtube. You can also use an SSH client to connect to the Kano from another computer. If you have a Google Account setup for the kids, you can connect it here. We have one account which the boys can use (it's not a kids account - Google's still working on that one). I remain the account holder but it gives them the ability to save Google docs and use cloud storage using Google Drive. 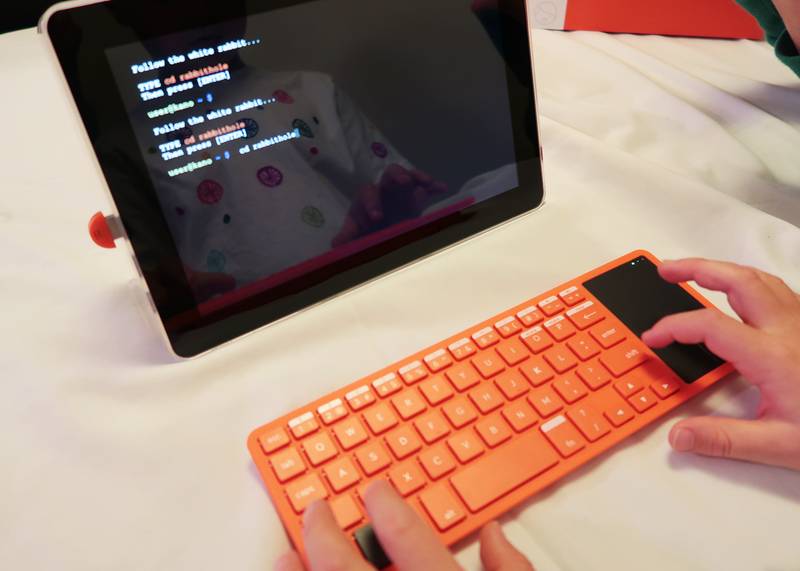 As your child will need to use a keyboard to operate the Kano computer, making sure they improve their typing skills is a great idea (a useful skill that modern kids will need). The Kano computer comes with 'Tux Typing' with a tutorial to teach typing and games to practice. Kano World is the online community for your child to share their creations and earn medals. They can also explore different apps and complete some online tutorials to earn badges. You don't need the Kano Computer Kit to explore Kano World which is available in any browser. Kano also provides 'Staff Picks' on the dashboard for children to try out (this will load up Kano World). 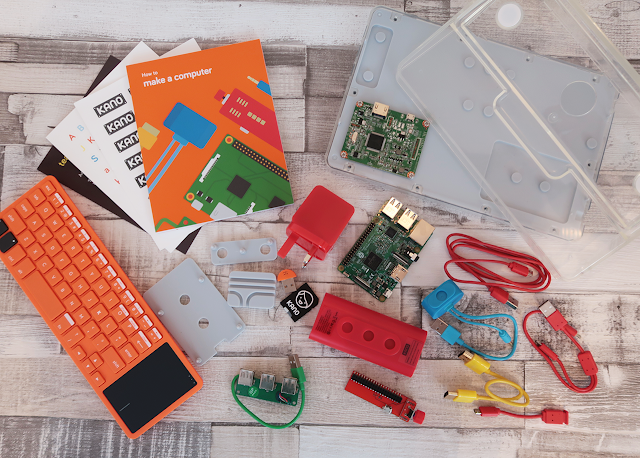 The Kano Computer kit works with other Kano kits including Pixel Kit and Motion Sensor Kit. The apps for these kits are already installed. As Tech Age Kids got the Pixel Kit through their Kickstarter, we had a play and it worked beautifully. You don't need a Kano computer to use the Pixel Kit or Motion Sensor Kit - read our full review of the Pixel Kit. If you already have a Raspberry Pi 2 or 3 you can download an open-source version of the Kano OS to explore and play. We would highly recommend the Kano Computer Kit for families with young children. Kano recommends from age 6+ which is about right, as reading and typing is required. Younger children will need adult support, but you will then get maximum value from the device by getting it when they are younger. 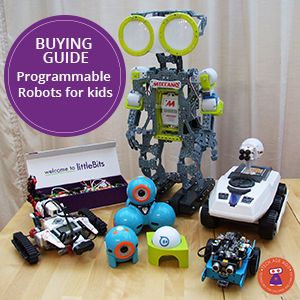 The kit will grow with your child's ability and skill level. The Kano computer is a great tool for getting children started on using a computer independently. It's worth noting that Kano has two (now three) computer kits. The one we reviewed - the Computer Kit Complete - comes with everything you need to operate a fully functioning computer. You don't need to add anything else. You even get an SD card included. 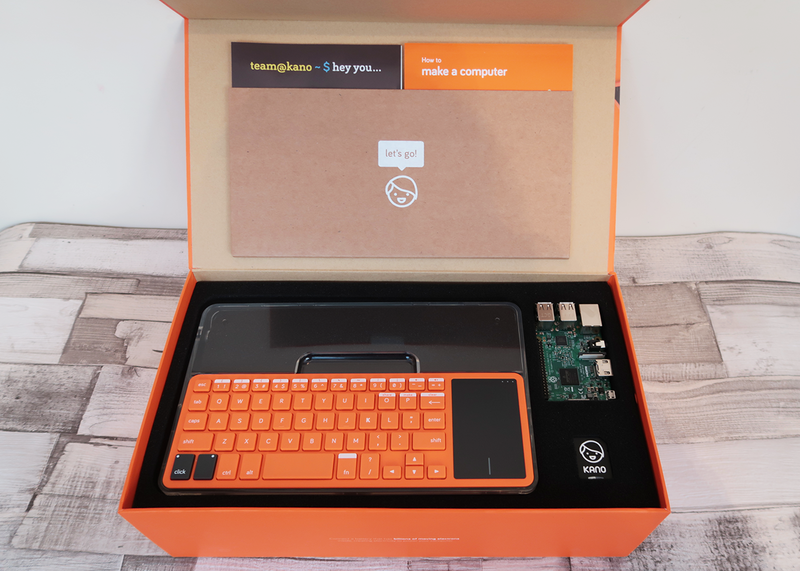 The Computer Kit 2017, is the updated version (includes a Raspberry Pi 3) of the original Kano Computer but it doesn't have a screen and battery pack or sound sensor (microphone). You would need to connect it to a display screen and it's not portable. It does, however, have a programmable LED ring which looks really cool and the kit is cheaper than the Complete Kit. If you already have a screen you can use and you don't require portability, then there's little difference. UPDATE 2018: Kano released Computer Kit Complete with a Touchscreen. A welcome improvement for young children. My son keeps trying the tap the screen! We bought a Raspberry Pi years ago for my eldest son, and he didn't use it much because it needed so much set up and additional equipment like a keyboard, screen and WiFi dongle, that he lost interest. The Kano Computer Kit Complete really does break down the barriers to getting started and actually using a Raspberry Pi. Building the Kano Computer with my boys was a brilliant experience and we all learned so much. I love the fact that the case is clear and you can see all the workings of the computer. Kano takes any the mystery of the little black box. The unit is compact, and apart from the charging cable, it all fit together neatly (including a special place to store the keyboard). I love that! Kano is not cheap, but what's the use of getting a cheap computer if you're not going to use it and learn new skills. 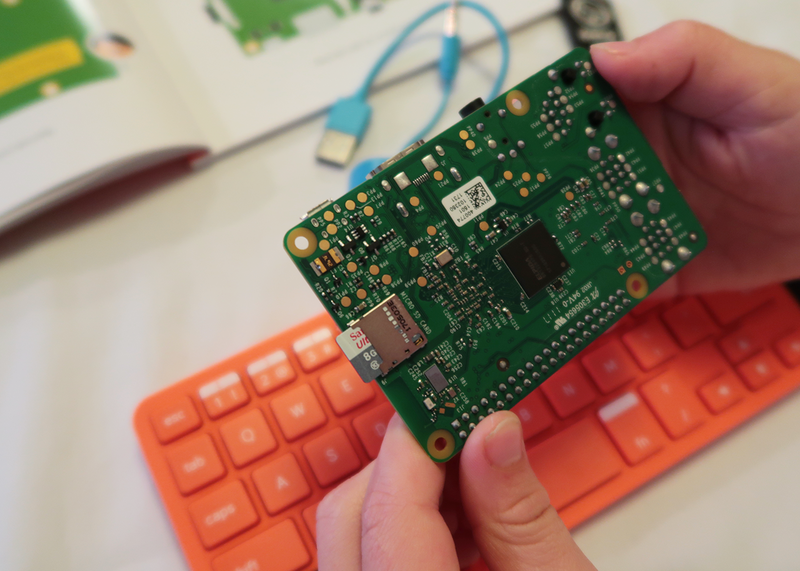 There's a lot of content and possibilities to explore with the Kano Computer Kit and when your kids have outgrown the eco-system, you still have a Raspberry Pi and all the hardware to tinker with. The computer can run slowly at times, but if you just remember that you're using a Raspberry Pi with limited storage and not try to do things on it that is meant for a much more powerful machine, you'll be fine. 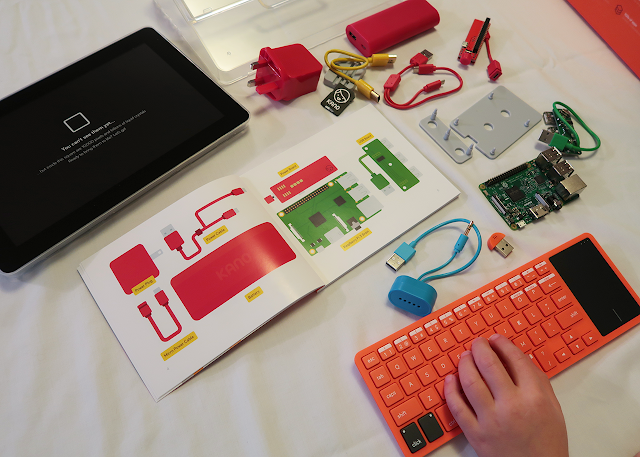 Kano Computer Kit Complete provides an accessible way for families to learn about computers and kids to get started with learning to code using block-based drag and drop programming.